Hire an Innova Crysta, Innova, Swift Dzire Taxi for Agra Sight seen from Delhi at lowest price Starts from Rs. 8200, Rs.7500, Rs.5700 inclusive all charges. For booking just call us @ 08800847737 / 09811739782. Location from we offer this service – Masjid Moth, East of Kailash, South Ex, Lajpat Nagar, Defense colony, Sarojini Nagar, Safdarjung Enclave, Green park, Gautam Nagar, Naroji Nagar, Ber Sarai, Lado Sarai, Mehrouli, Chattarpur, Sainik Farm, Kotla, Nehru Place, Nehru Nagar, Kidwai Nagar, Krishna Nagar, Arjun Nagar, Laxmi Nagar, mayur vihar, vasundhra enclave. Hire or Rent a Car for DELHI AGRA FATEHPUR SIKRI JAIPUR Delhi Trip – Innova Crysta, Dzire, Etios, Indigo, Toyota innova call us @ 09811739782. Book Your Taxi for Agra Tour From Delhi Only. Call us at 09811739782 for lowest ✓ cheapest ✓ Best Rates Fares Taxi for Haryana from New Delhi, International Airport to Kaithal, Karnal, Panipat, Ambala, Sonipat, Yamunanagar, Rohtak, Hisar, Panchkula, Bhiwani, Sirsa, Jind, Thanesar, Rewari, palwal. Hire Innova ✓ Indigo ✓ Dzire ✓ Etios ✓ Xylo ✓ Zest ✓ Hexa At lowest costs. Fare Calculations for below Mentioned Locations as follows: These calculations on the basis of Google Map Distance – It may be increase or decrease or vary from location to location. These Calculations based from Our Garage to Garage. If Car Runs Below 200 Kms So Flat Rate of 8 Hour / 80 Km will be applicable. After 8 Hours – 100/75/70 will be charged per hour for Innova/Dzire/Etios Respectively. 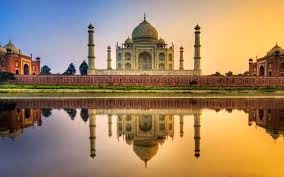 Call @ 09811739782 Delhi to Agra Taj Mahal Same Day Sightseeing Tour From Delhi By Car Taxi Coach Rental ✓ Toyota Innova Crysta ✓ Innova ✓ Maruti Swift Dzire ✓ Toyota Etios ✓ New Dzire Cheapest Taxi Delhi to Agra. Below mentioned prices are for upto 465 kms only. A composite ticket of Taj Mahal (Inclusive of ASI & ADA fees) is available at all World Heritage Sites in india. You can hire our Car service from International Airport, Domestic Airport, or all other locations from New Delhi. Kilometers or meter reading starts from pick up point. Locations we Covered – Green Park, Hauz Khas, Anand Lok, Connaught Place, karol Bagh, Jor bagh, Mehrouli, Safdarjung Enclave, South Ex, Yousaf Sarai, Lajpat Nagar, Defence Colony, East of Kailash, Greater kailash, Maharani Bagh, New Friends Colony, Mayur Vihar, Lado Sarai, Ber Sarai, SDA, Gautam Nagar etc. The Sariska Tiger Reserve is an Indian national park and wildlife refuge located in the Alwar district of the state of Rajasthan. Sariska National Park is covered with thick forests and the hillocks; valleys of Aravalli mountain range enhances the beauty of Sariska National Park. Sariska National Park provides an opportunity to view tiger, langur, nilgai and various many bird species. Delhi to Sariska National Park Distance is approximately 224 Kms from New Delhi.